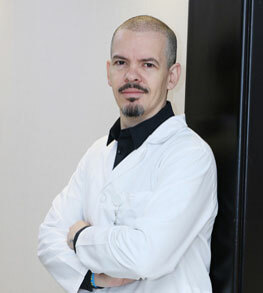 Dr.Mariano has 17 years of experience in the field of Diagnostic Radiology. He’s confident in areas such as MRI, CT scan, Doppler, USG and conventional radiology. He worked in several prestigious private centers in Abu Dhabi and Argentina including FUESMEN, The first PET center in Latin America. Doppler Heart Imaging, Certificate in USA. Imaging and diagnosis of bone density. General Radiology with Special Interest in Clinical Neuroradiology.